Whenever you talk to people who have never heard about the raw vegan diet they become concerned. They start to ask a lot of questions. They get a worried look on their face. They assume their must be something missing? There must be something incomplete about the diet? You must be taking tonnes of supplements, right? 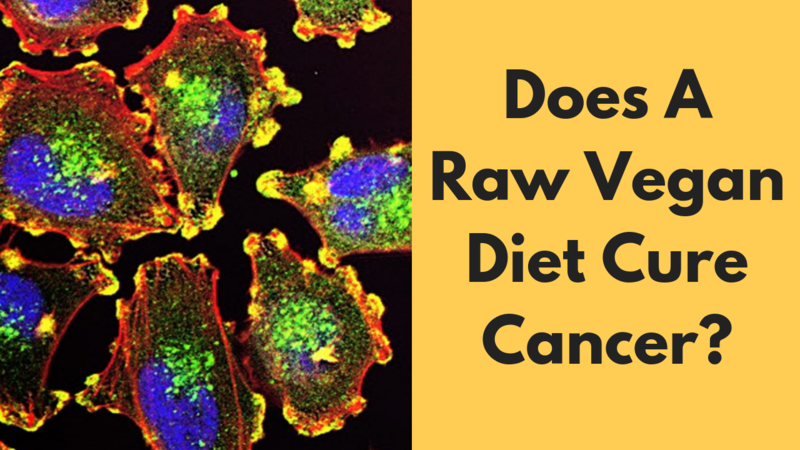 Many scare stories have been shared about raw vegan or even just vegan diets. Many of these stories are designed to blame the vegan diet rather than the person that was doing the diet. There have been stories of parents feeding babies vegan diets which led to health problems or death for the unfortunate baby. Ironically, 100% of babies start off on a vegan diet. Mother’s milk is 100% vegan! As long as it is from the human mother. Some parents seem to have deprived the child of breast milk and fed some form or raw or vegan diet. This will never end well and no diet, no matter how complete, can replace the benefits of mother’s milk. Apart from that situation, is there any real danger in trying a raw vegan diet? Let me go through a few concerns…. It can be easy to undereat on a raw vegan diet. Especially if you are mostly eating fruit. As I said in a previous article people often undereat on a raw vegan diet when they start off. They are unaware of how much fruit they must eat to get enough calories and therefore they simply eat until they think they are full. This can lead to people losing a lot of weight. But is that a major concern? Perhaps for some but for many the weight loss is welcome and will improve their life and health. The other issue connected to this is that people from an eating disorder background are sometimes attracted to the raw food movement as a way to mask their eating disorder. Don’t get me wrong, I believe the raw vegan diet to be the best diet for everyone. But someone with an eating disorder has some real issues with food and any kind of restriction or perceived restriction could trigger their anorexia or bulimia. If you feel you are at genuine risk of this, you may wish to get some professional help or advice before making a change to your diet. Another danger is extremism. You are probably thinking “Isn’t this diet extreme enough!”. For many it is. For me, the risks involved with other diets are far more extreme! But one thing I have seen is that people start to believe that they are almost invincible on this diet. They decide to stop taking the precautions they used to take when it came to their health and this can be dangerous. There are a few stories of fruitarians or raw vegans deciding not to take medication when they became ill. An example of this is a man who was in Africa and contracted Malaria. Instead of taking anti-malaria medication he decided to try a “dry fast”. Unfortunately, this ended in his death. It is even said that Steve Jobs when diagnosed with cancer decided to go raw vegan for a while. I don’t know exactly if this is true but he may have been alive today if he had decided to get the cancer removed surgically and then made changes to his diet to try to prevent it from coming back. There are other stories of this nature. In many cases, the risk of NOT taking the medication (or surgical route) is much greater than any potential small harm or side effect that can come from taking the medication. But people come into this lifestyle and start to buy into dogma, conspiracy theory and extremism. No wonder. They have just found out that everything they have been taught about diet, nutrition and living a healthy life is wrong. 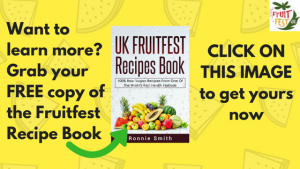 They have found out that their doctors, nurses, families and friends are all happily eating a diet that is completely the opposite of what is healthy. So, no wonder, they start to distrust “the establishment”. But this can go too far! They start to believe that if something isn’t NATURAL then they shouldn’t have any part of it. If something has “chemicals” in it , they will shun it immediately. They feel no need to use personal hygiene products and decide to run off to South East Asia to live barefoot and shirtless on a beach somewhere. This may be a dream for many, but the goal of being healthy is not to completely avoid and ignore everything that modern science and the modern world has given us. It is about weighing up the risks and benefits of all choices in relationship to your health and making an intelligent decision. Disregarding the opinion of doctors and other health professionals is not a smart move. Many people assume that a diet high in fruit will automatically be bad for your teeth. Is this right? Tooth decay is one of the most common diseases in the world. It seem’s like humans have a particular weakness when it comes to our teeth. Yet, some people never have a problem with their teeth whatsoever. This appears to be the same in the raw vegan community. Some people have no issues, some have A LOT. Once again, the problem can tie into the extremism as I previously mentioned. Not a day goes by that someone in a raw vegan forum is not asking about how to care for their teeth. And every one of the responses recommends that they avoid flouride. Often the advice is that you can regrow your teeth on a juice fast or through oil pulling. This is not correct. Why are so many people in the natural health movement anti-flouride? a) Too much dried fruit. I used to have a habit of putting dates or other dried fruit in my mouth and sucking on them for hours. My dentist told me this was not a good idea. I have stopped eating dates and dried fruit. b) Avoiding or not participating in proper dental care. When I started on this diet, I came across some people who were essentially saying that you did not really need to brush your teeth or you would not require toothpaste. Some are still saying something like this. I would recommend that you continue with your dental care routine and perhaps be even more diligent. Flossing pieces of fruit out from between teeth and rinsing your mouth out after fruit meals is a good idea. When I came back to using toothpaste I had already accumulated a lot of damage. c) Not leaving enough time between meals. If you eat all day long then the natural process of remineralisation can not occur. Ideally there should be hours between meals when the saliva in your mouth is able to bring your mouth back to a neutral ph and also provide minerals to remineralise the teeth. If you eat all day long this is not going to happen as effectively. Will your friends and family no longer want to be around you? Potentially, you could lose some friends. Or perhaps it’s better to say lose touch with friends. If they see you as a person they can go drinking with or get a burger with and all of a sudden you become a fruitarian they may look to find another drinking or burger buddy. Is this a big loss? Well, you can and will always make new friends. Maybe it is time to meet some new people that actually share your goals and encourage you to move forward with your life? As much as I have lost touch with some previous friends I have made many many more, all over the world who are incredible people! 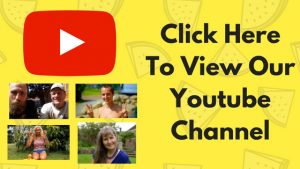 Fake Dangers Of A Raw Vegan Diet? There may be some others, but for me, those are the only real worries I can think of for now. Please feel free to comment below if you feel I have missed some out. Here are some dangers that some people talk about. I personally don’t think they are to be concerned about, but that is purely my opinion from my experience so far. I am, as ever, open to continuing to learn more. There are still some raw vegan promoters claiming that fruit can give you cancer. They shun fruit in their facilities in favour or sprouts and green vegetables. This opinion flies in the face of any major cancer website out there. Check them out yourself, universally they state that eating more fruit reduces your risk of cancer. This is not a danger to worry about. Check out this page from Cancer Research if you don’t believe me! All plants and animals in nature are hybrids, even you! Literally, you are the product of the mixture of the genes of your mother and father. Why then is there a problem with hybrid fruit? Many fruits, in particular those in the sub tropics and temperate climates have been selectively bred to become larger and sweeter. This is to mimic the fruits that we would have been eating in the tropics. 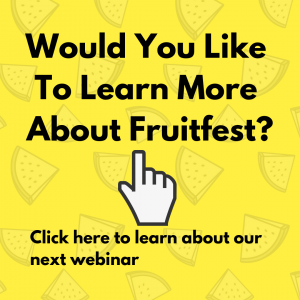 Are fruits now so much sweeter than before? It is very unlikely. On the onc hand people speak about fruit not being sweet enough…then other’s claim it is TOO sweet. Perhaps they need to buy fruit for each other! Many people who are against the raw vegan diet insist that raw vegans must supplement their diet to remain healthy. They claim that the diet is deficient in almost every required nutrient under the sun. In reality, no such study has been done to test this, and nowhere near enough studies have been done to prove this. Many people I have met that have had blood tests, even as fruitarians had adequate levels of these nutrients. Unfortunately, even some people who support the raw vegan diet also like to shout from the rooftops about the inadequacy of our modern fruits and vegetables and how we must supplement to be optimally healthy. 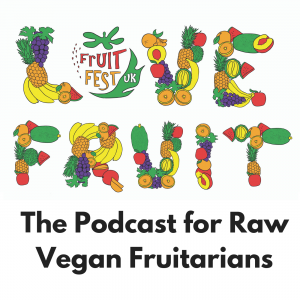 Don is one of the main speakers at the Woodstock Fruit Festival, one of the largest and best known raw vegan festivals in the world. I have met Don many times and learned a lot from him. He is a great example of a long term 20+ year raw fooder. My issue is that he over exaggerates or overemphasises the dangers of nutritional deficiencies on a raw vegan diet. In his opinion, this is a big reason why people don’t stick to a raw vegan diet. He also states as evidence that he has coached many people who have had problems on a raw vegan diet and that his suggestions to supplement solved their problems. 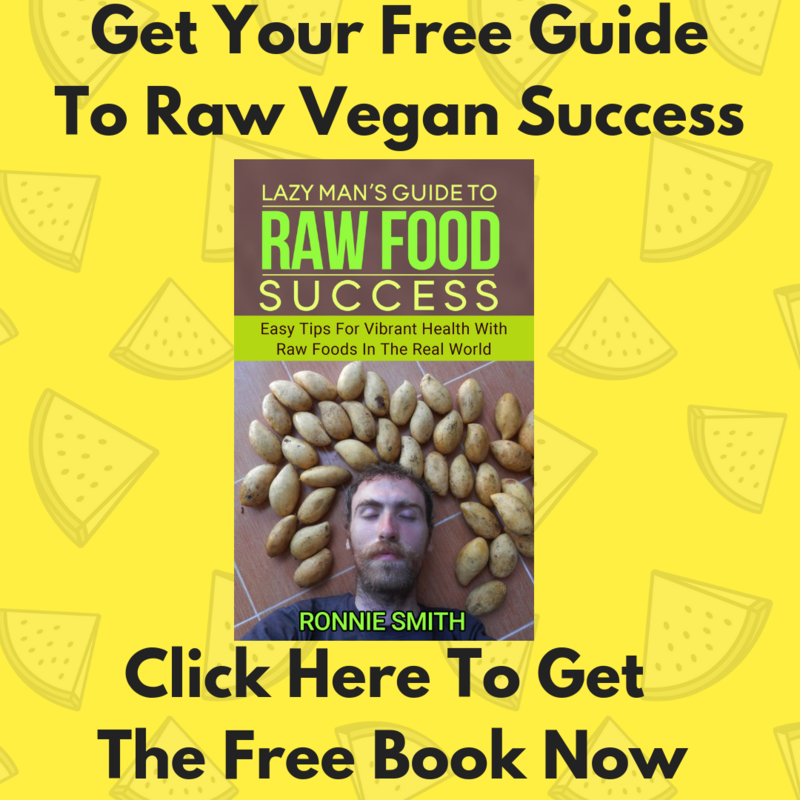 Personally, I have known so many people that have claimed to be doing a 100% raw vegan diet and it turned out, upon further investigation, they they were not. Therefore, their statement that the diet did not work for them is often untrue. Also, I believe it is much more likely that when someone feels bad on a raw vegan diet it could be so many other factors such as a lack of sleep, not eating enough calories, not looking after many of our other needs in life such as friendship, a positive attitude, sunshine, healthy relationships and so on. I have no doubt that Don will continue to argue his point. He believes that there is a weight of science confirming his theory and experience. I am not so certain that there is anywhere near enough science surrounding a raw vegan diet to make any concrete claims on the supplements we need. Curiously, very few of the long term raw fooders I have made, who legitimately stick to a 100% raw vegan diet supplement frequently. Those who do many supplement with b12 on occassion but very few are regularly taking a daily supplement boost. This is not medical advise. If you have concerns, seek out a medical professional to test you. Could you develop a serious deficiency on this lifestyle? The one that is most likely to occur is a b12 deficiency. B12 defiency can occur to people on all types of diet. B12 is created by bacteria and therefore there is no adequate source from ANY food. There are many meat eaters who have had to supplement b12 due to the deficiency,despite the fact they were eating food that in theory should have lots of b12 in it. After 5 years on a raw vegan diet with no supplementation, I was found to have levels within the normal range when tested. Will that be the same for everyone? Of course not. I know some long term raw vegans that have not supplemented at all with little to no problems. Other’s have ran into b12 deficiency symptoms after almost a decade on a vegan diet. Is it something in the short term that you should be worried about? I don’t believe so, I think you should be more concerned about the dangers of not following a raw vegan diet! If you are concerned about a nutritional deficiency, you can speak to your doctor about this or get some tests done. My goal with this article is to reduce your worry about experimenting with a raw vegan diet, or eating more raw foods. Eat as much fruits and vegetables as you care for! If you learn to do it right, it may be the best choice you ever made!